You don't have to tell Microsoft what you think, but unfortunately it can still peer over your shoulder. We now know the tradeoff for free Windows 10: Microsoft wants data about what you do with your device. But you don't have to send everything you do back to Redmond. 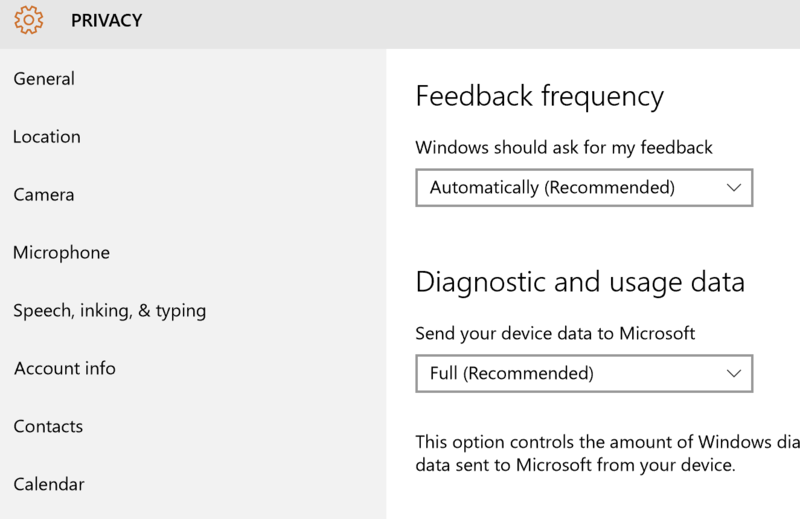 You can control the data you send back, and how often, by delving into Windows 10's privacy settings (we've taken you here before) and looking specifically at Feedback frequency and Diagnostic and usage data. The former is typically just an automated survey, but the diagnostic component actually peers into your machine. These features comprised the Customer Experience Improvement Program, or CEIP, in previous versions of Windows—and they were voluntary. In Windows 10 they've become mandatory, but you can control some aspects. 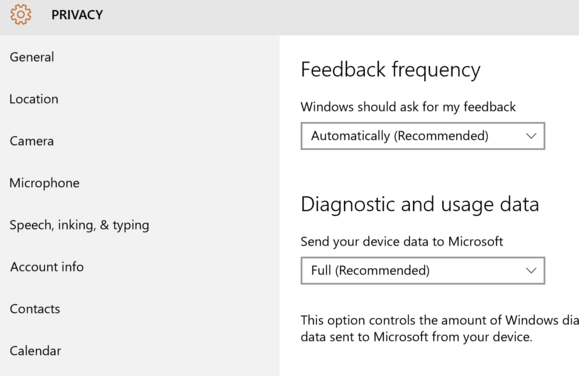 Start by going to Settings > Privacy > Feedback & diagnostics in Windows 10. 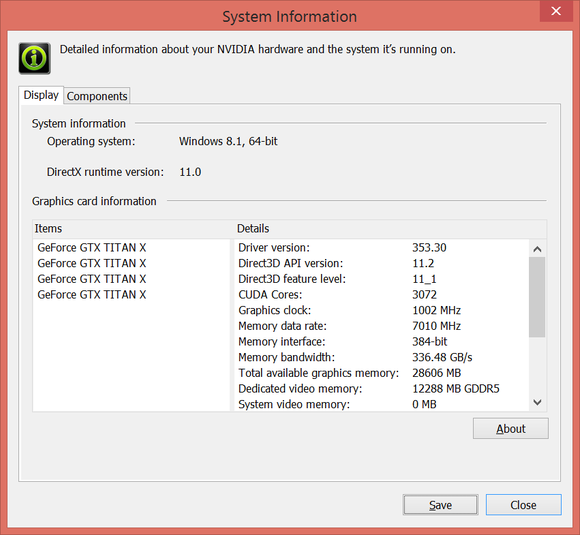 Set limits on what Microsoft sees with these feedback and diagnostic settings. Every so often, Microsoft gets curious: Did you like this new version of an app? Would you recommend Windows 10 to a friend? Microsoft typically asks these sorts of questions of Insiders who've signed up to test Microsoft’s beta software, but regular Windows 10 users may be quizzed as well. Solicitations for feedback are infrequent. In fact, if you leave the Feedback frequency setting at Automatic, you’ll rarely see a popup. But you may set Feedback to Never if you’re dead-set against ever receiving the prompts. 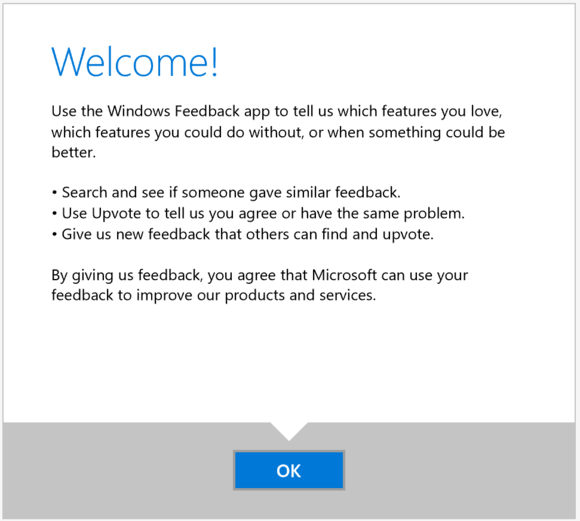 If you don’t want to wait for Microsoft to ask you for your opinion, you can change the Feedback setting to your liking. If, on the other hands, you can't wait to tell Microsoft what you really think, you can adjust the setting to Once a week, or Once a day, or even Always, so that presumably anything Microsoft has a question about will be flagged for your attention. You can also go to Start > Windows Feedback and use that app to send feedback on a specific issue. 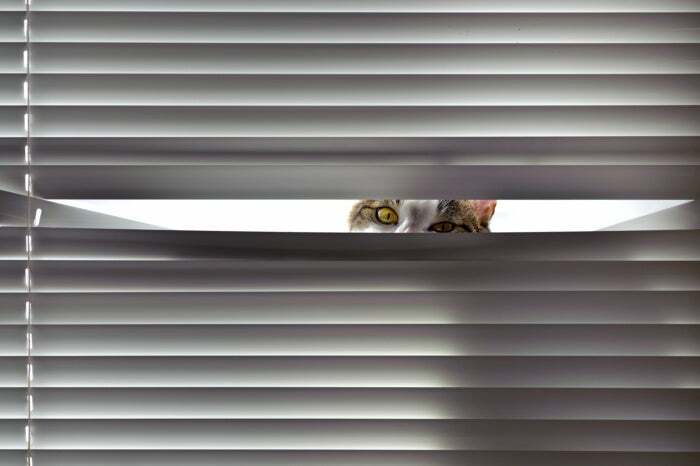 The diagnostic and usage data that Microsoft wants to collect, however, is much more intrusive. Microsoft won’t know who you are by name, but it does track your device using a unique ID. Here's the bad news: You can’t turn off diagnostic data in the Settings menu. By default, it’s set to Full, which sends pretty much everything; however, you do have two dialed-back choices called Basic and Enhanced. Part of what Microsoft collects includes the driver information governing your devices. The Basic data setting collects the configuration data of your device (device name and model, as well as the hardware and software, including third-party apps and drivers); performance data, including how quickly programs respond to input; network data, including details of the networks you connect to and what radios you’re using; and details of other hardware that’s connected to your device. Enhanced adds the ability to log “how frequently or how long you use certain features or apps, which apps and features you use most often, how often you use Windows Help and Support, and which services you use to sign into apps,” according to Microsoft. It will also report the memory state of an app when it crashes, helping Microsoft improve the Windows 10 experience. Microsoft cautions that it may collect parts of a document stored in that memory data. Microsoft apparently doesn’t even anonymize any personal data it collects via its Full diagnostics; it simply won’t use that data for any sales purposes. “If an error report contains personal data, we won’t use that information to identify, contact, or target advertising to you,” Microsoft says. The data may also travel further than you'd like. Microsoft says its own employees use it, but the company also shares the data with third-party affiliates and hardware partners where relevant.